The emphasis on machine learning by leading tech companies such as Google, Facebook, and Amazon. Has drastically increased the demand for machine learning professionals in the past few years. We also can’t deny the fact that machine learning is surely our present and future. So in this article, we providing you with the list of Top 5 Machine Learning Courses for free in 2018. This amazing course is offered by the University of California through edX. The course offers all the basic concepts related to machine learning, in order to increase the basic understanding towards it. 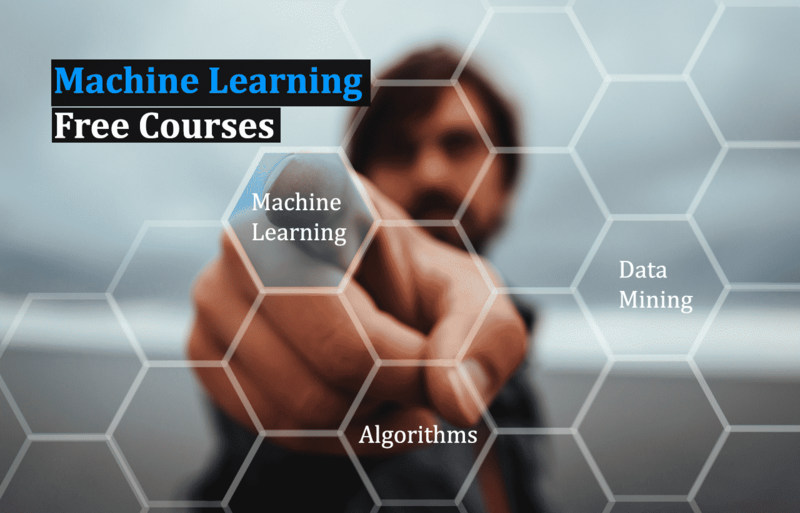 The topics included in this course has two main methods of machine learning. At last, it includes video tutorials and video transcripts in the English language. So just go for it. One more thing though the course if free of cost, but if you want certification then you have to pay a fee for it. The course is offered by MIT Open Courseware which is a great platform in itself. It has everything related to machine learning algorithms, statistical learning theory and much more. Every year many aspiring machine learning professionals enroll in this course and get benefits of it. Its syllabus includes instructor insights and lecture notes, including instructions for installing and working with R projects, and data sets. You will also learn R language in this course which is fairly nice. So in our honest opinion, you should opt for this course if you want to become a machine learning professional. The course “Learning from data” is offered by the California Institute of Technology. It’s basically an introductory course in machine learning that covers basic theory, algorithms, and applications. The course includes almost more than 18 recordings of live lectures along with live questions by students. This makes learning more fun and interactive. The course also has eight homework sets and a final exam, plus a discussion forum for participants. Which is a good interactive idea. This 12-week course beautifully covers topics related to classification and regression, sequential modeling, and model selection. Talking about the parts the first half is covered by supervised learning, and the second half covers unsupervised learning. The course is part of a micro masters program in artificial intelligence which means although it’s free of cost course. But if someone wants professional certification then they have to pay for it. One more thing we like to mention that this course is described as advanced not for beginners. So its purely for intermediates or advanced level people. And also several reviewers have rated it as hard. So keep that in mind before enrolling. First, of all the course is available from one of the best universities in the world which is a great sign to ensure its quality. Secondly, its a part of the Stanford Engineering Everywhere series where they offer free online courses which is again a good news. The course provides an introduction to machine learning and statistical pattern recognition. It also includes a series of 20 lectures, lecture handouts, review notes, and assignments. Topics of this course include recent applications such as data mining, autonomous navigation, speech recognition, and of course web data processing. So in nutshell, we can also say that this course has a spice of every topic. Worth considering it before enrolling. So this was all regarding Top 5 Machine Learning Courses for Free in 2018. If you have any better suggestions let us know in the comment section below.